Auckland’s Josh Bethune (Mygale SJ08) has won his second consecutive South Island Formula 1600 Championship title, 35-points ahead of Southland’s Jordan Michels (Mygale SJ 13) with Christchurch’s James Penrose (Van Diemen RF93) third. Bethune went into the sixth and final round at Timaru International Raceway with an 83-point buffer to Michels and effectively just needed to finish each of the..
Auckland’s Josh Bethune (Ray GR17) and Southland’s Jordan Michels (Mygale SJ13) go head to head again on Saturday to decide the 2018/19 South Island Formula 1600 Championship title. Bethune heads into the final round at the Timaru International Raceway (long-track) with an 83-point lead over Michels and a maximum of 142 points to compete for. 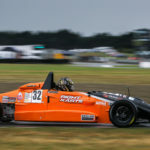 The rivalry continues after the..
Two wins and a second place have propelled Southland’s Jordan Michels to just three-points shy of 2018/19 New Zealand Formula 1600 Championship leader Josh Bethune with one round left to play. Michels set fastest lap in qualifying at the Manfeild Circuit Chris Amon in Fielding, and went on to reduce the 23-point deficit he had leading into the weekend. 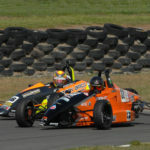 While..
Auckland’s Josh Bethune has a slender 23-point lead heading to the penultimate round of the New Zealand Formula 1600 Championship at Manfeild Circuit Chris Amon this weekend. Competing in his second year of the category, Bethune has led for much of the season but nipping at his heels is experienced Jordan Michels, and rookies James Penrose, Zac Stichbury and Callum..
Three wins from four races at Teretonga Park, Invercargill, over the weekend has propelled Auckland driver Josh Bethune ahead on the 2018/19 NZ Formula 1600 Championship points table. The southern circuit hosted four 8-lap races in varying weather conditions that saw 21 cars take to the grid. It was the third round of the national series which also doubled as.. 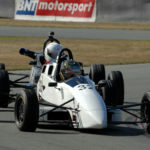 Rookie driver James Penrose has won the opening race at the second round of the New Zealand Formula 1600 Championship held at the Mike Pero Motorsport Park this afternoon. Penrose was able to hold out championship leader Josh Bethune who took second from pole-sitter Jordan Michels. “I couldn’t be happier,” exclaimed Penrose. 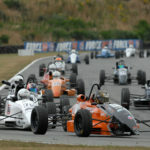 “He (Bethune) was pushing me all the way..
2018/19 New Zealand Formula 1600 Championship Round 2– Preview 12-13 January 2019 Mike Pero Motorsport Park, Christchurch A large grid of 26 Formula 1600 single seaters will take to the Mike Pero Motorsport Park this coming weekend as the second of five New Zealand Formula 1600 Championship rounds gets underway. 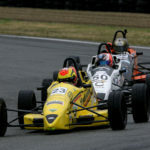 Current points leader Josh Bethune from Auckland (Ray GR17) will..
Rnd 3: December 1-2 2018, Teretonga Park Raceway, Invercargill At the halfway mark in the 2018/19 South Island Formula 1600 Championship, Auckland Josh Bethune has taken a commanding lead after a perfect third round at Teretonga Park, Invercargill. 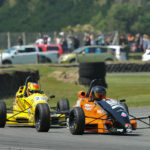 Bethune was fastest in qualifying and won all three races giving him a 69-point lead over Southland's Jordan Michels with Canterbury rookie..
Auckland’s Josh Bethune has a narrow lead heading into the third round of the South Island Formula 1600 Championship in Invercargill this weekend. While Bethune may have set the pace in the opening two rounds, it has not been straight forward with a group of rivals all determined to be at the front. 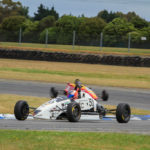 Leading the charge and in second overall..
Auckland’s Josh Bethune has stamped his mark on the 2018/19 New Zealand Formula 1600 Championship with a dominant performance at Timaru on Saturday. Bethune set the fastest lap in qualifying then crossed the line first in all three races. Wins were recorded for race 1 and 3 while a 5 sec penalty was given for passing under a yellow flag..